About one and a half years ago, we released our free topology optimization software Z88Arion®. The number of downloads speaks for itself, people like our program and use it a lot. Of course we do not want to stop here, which is why we’re continuously improving the software. The new version Z88Arion® V2 will be released at the Hanover Fair next year and will be usable free of charge. The first aspect we want to improve is the selection of optimization methods. The next version will include an additional method for a new optimization target, so users have more freedom and possibilities. The new method will be the SKO method. With this method, not only stiffness optimization but also strength optimization will be possible. We also want to improve the user friendliness. For this, we are working on making the results usable. Unfortunately, exporting the results is not possible yet. The new version will enable the user to export the results as an STL file. In order to be able to take advantage of this feature, we will also add smoothing, which allows users to interpret the rugged optimization results more easily. An additional direct interface to our freeware Z88Aurora® further simplifies using the results. After smoothing, our FEM software can directly open the result for subsequent simulations. If you’re interested in the new version Z88Arion® V2 and have some questions, you are welcome to visit us at the Hanover Fair! 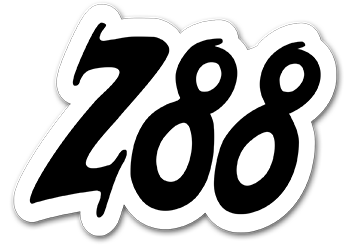 ← Open source update: Z88V15OS!